Alkaline phosphatase: Alkaline phosphatase (EC 3.1.3.1) or basic phosphatase is a homodimeric protein enzyme of 86 kilodaltons. Each monomer contains five cysteine residues, two zinc atoms, and one magnesium atom crucial to its catalytic function, and it is optimally active at alkaline pH environments. Alkaline diet: Alkaline diet describes a group of loosely related diets based on the misconception that different types of food can have an effect on the pH balance of the body. 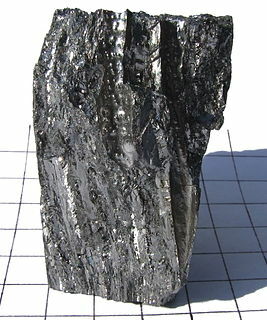 It originated from the acid ash hypothesis, which primarily related to osteoporosis research. Alkaline earth metal: The alkaline earth metals are six chemical elements in group 2 of the periodic table. They are beryllium , magnesium (Mg), calcium (Ca), strontium (Sr), barium (Ba), and radium (Ra). 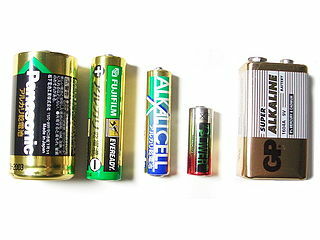 Alkaline battery: An alkaline battery is a type of primary battery which derives its energy from the reaction between zinc metal and manganese dioxide. Compared with zinc-carbon batteries of the Leclanché cell or zinc chloride types, alkaline batteries have a higher energy density and longer shelf-life, with the same voltage. Alkaline Trio: Alkaline Trio is an American rock band from McHenry, Illinois. The band consists of guitarist and lead vocalist Matt Skiba, bassist and co-vocalist Dan Andriano, and drummer Derek Grant.